All doors are not created equal. 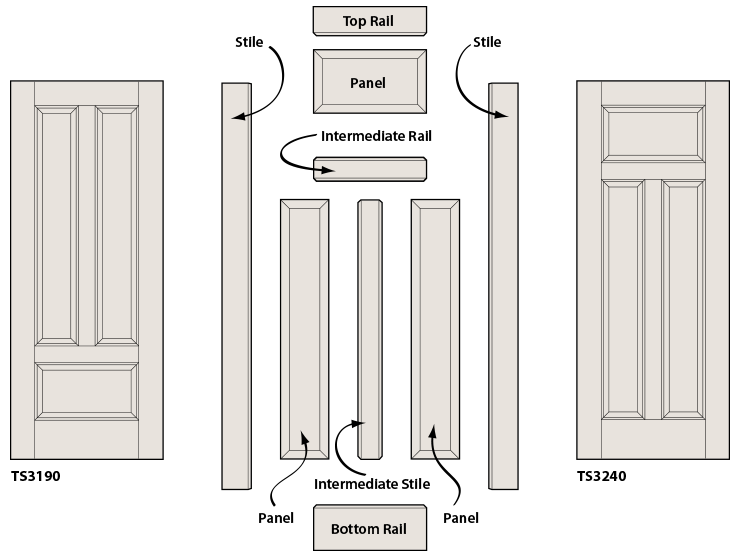 The figure illustrates the advantage of TruStile’s timeless authentic stile and rail construction. 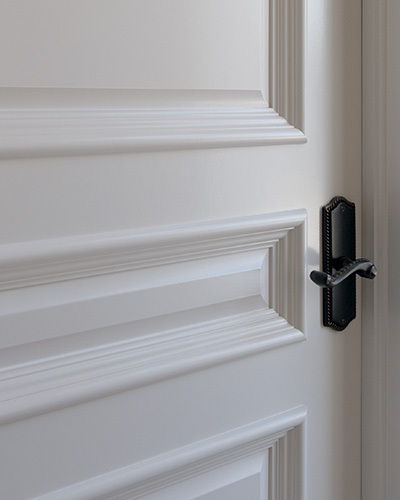 Door components can be customized and combined to create multiple door styles while maintaining crisp details and architecturally-correct lines. 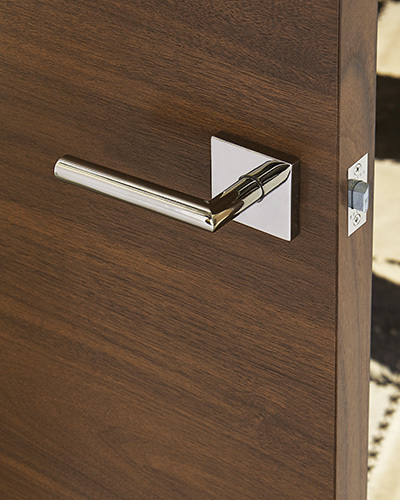 TruStile doors are made with authentic stile and rail construction. We wouldn’t think of routing or stamping a door. Each TruStile door is made-to-order with perfectly proportioned components, created individually to ensure that every door is architecturally correct, regardless of size. Why three construction choices? Because you want the perfect door at the best value to match the application. From the show-stopping entrance to the sound-dampened theater room, we’ve got your design-driven solutions. A highly engineered core and hardwood provide stability and durability. TruStile can build many doors styles for exterior use. Exterior doors are available in MDF and TruStile Reserve Wood. The best possible door for painted applications, TruStile paint-grade doors use only super-refined MDF, providing unrivaled smoothness and finishing. 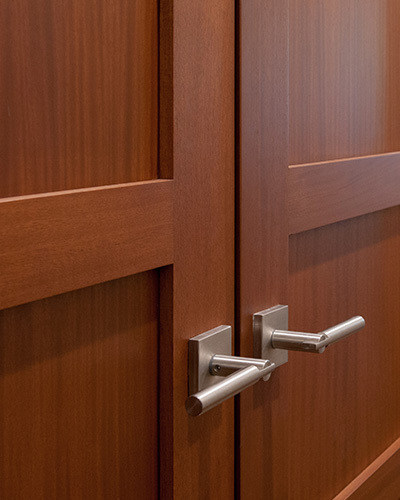 Engineered to the highest quality, TruStile Reserve wood doors blend the latest technological advances with generations of meticulous hand craftsmanship. 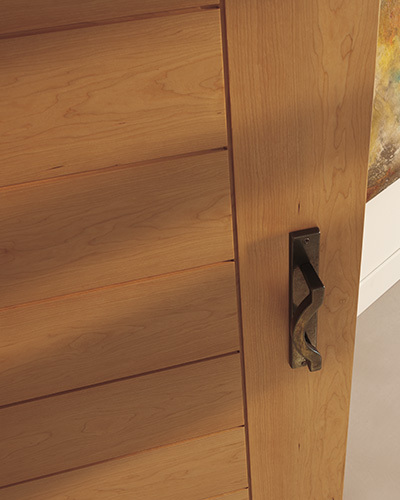 Made in the authentic stile and rail manner, TruStile wood doors use a premium mix of materials that exceed industry standards for a natural look. A highly engineered core and hand matched veneers or super-refined MDF create a sleek door for today’s modern interiors.